We make sense of the present and prepare for the futrue by understanding the past. Where has the Christian church come from? What best manifests its faith and life? Where has it disastrously lost its way? 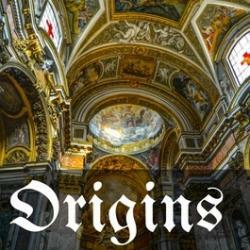 Is Jesus truly the Lord over the history of the church? By considering some of the high points and low points of the history of Christianity, we hope to fill in gaps of knowledge, answer common historical objections, heed warnings from the past and unpack important theological ideas which shaped these events. NB: The Radicals and Institutions audio was delivered at our Uni Fellowship Engage conference, addressing core members of our group. Because of this, this original audience, they may not contain as much contextual information and clarifying comments as our Citywide Gatherings.